Varathane Premium Wood Stain penetrates up to twice as deep as competitive brands to reveal the beauty of natural wood grain. 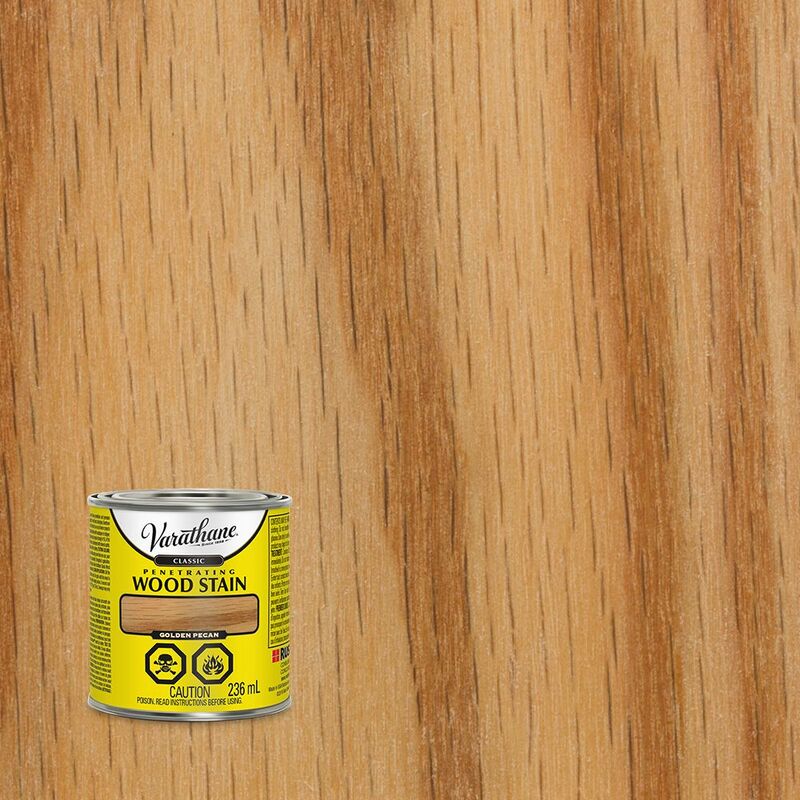 Apply to wood for long-lasting, translucent stain. Uses exclusive soya-oil base and anti-settling formula for better grain enhancement. Varathane Ultimate Wood Stain is a premium, high performance stain system enhanced with Nano pigments and soy oil base for exceptional colour clarity. Combined, this innovative formula creates rich one coat coverage, which dries in one hour. No wood conditioner or pre-stain required. This advanced formula guarantees beautiful results 3 times faster than traditional wood stains. From furniture, doors, cabinets or floors, Varathane Ultimate Wood Stains are formulated not just to stain your wood, but to reveal its true beauty. Varathane Classic Penetrating Wood Stain Golden Pecan 236ml VARATHANE Classic Oil-Based Penetrating Wood Stains are formulated with a unique base for deep penetration and premium pigments for clear colour. This results in a deeper, richer and more natural colour for your wood projects.